Home » Current Development Opportunities » Townsville equals Happyville in Banksville! We’re excited to release a great property development opportunity in Townsville, QLD, Australia. 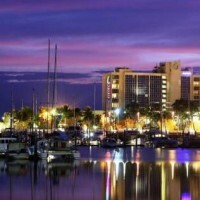 Townsville has been described as one of the hottest property locations in the country after being named the number one regional hot spot in Australia by real estate agency Colliers International. Townsville has experienced near record population growth despite the economic downturn with a remarkable 3.2 per cent growth, compared to the national growth rate of 2.1 per cent. There’s only 4 pieces of this development pie. If you’re interested, act quickly. Our Hot Opportunity Mailing List recipients will be receiving a password via email to access the following page. Your email with password will be sent within 24 hours. Stay tuned! Hot Opportunity – Townsville – ROI – Predicted 73.5% in 12 months. Please send details of what you have.